Hello! 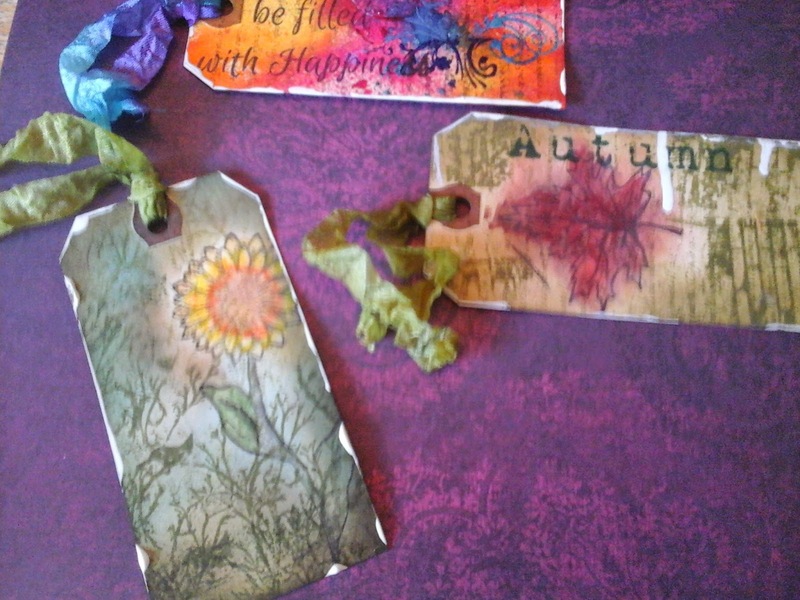 Peggy here to show you my tags made with some fabulous stamps! As soon as they arrived I had to play! 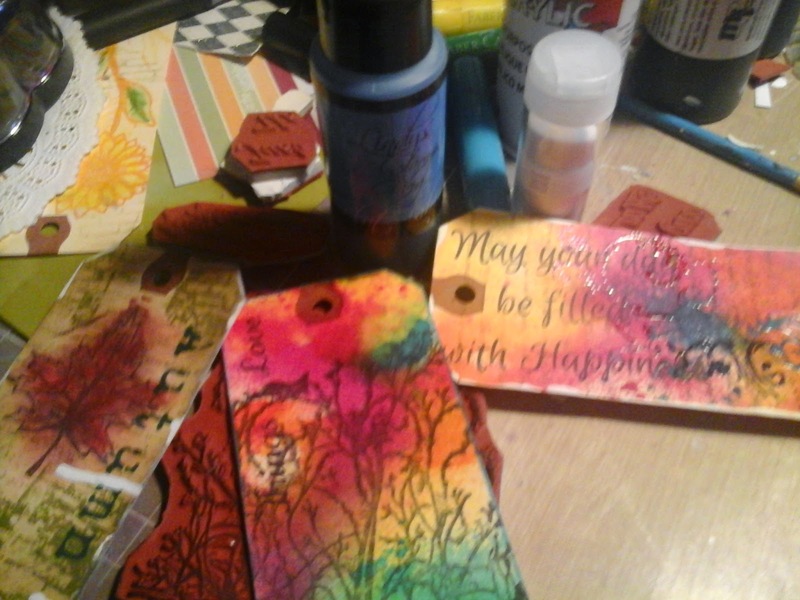 I started with some shipping tags 4 3/4 x 2 3/8 and sprayed yellow, red and orange with Lindy's. 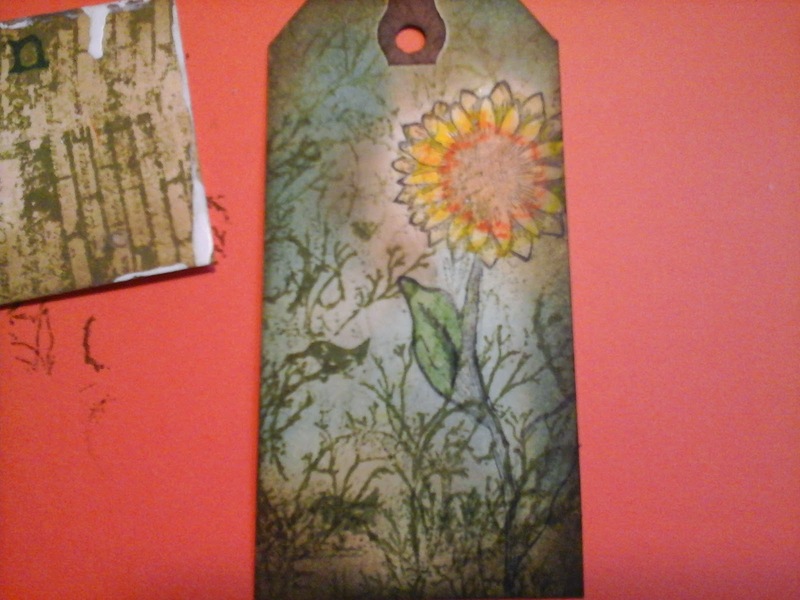 Next I layered some texture on top with background stamps from Terri Sproul's Art journal 2 set. 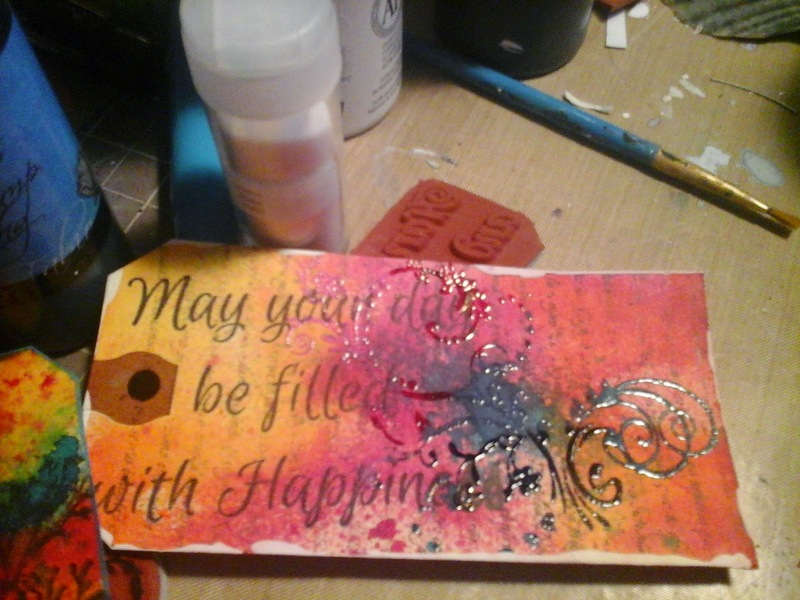 As I put the color box ink down with my flourish stamp I quickly poured clear embossing powder on top and heat set with a heat tool. Next I stamped my sentiment and edged my tag with white acrylic paint. Below I made my second tag with Lindy's Sprays the same as the first but I added green at the bottom. 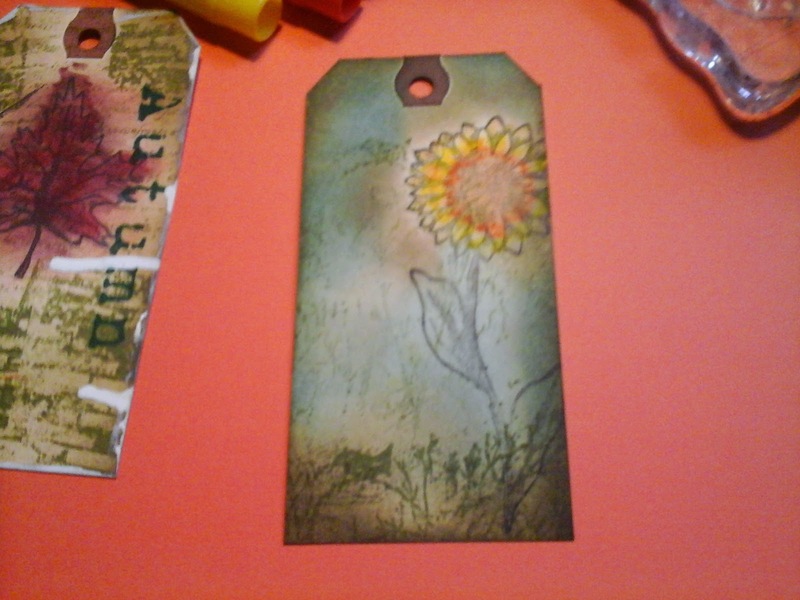 I layered another background stamp from Sin City Stamps Pam Bray's Fall Collection. 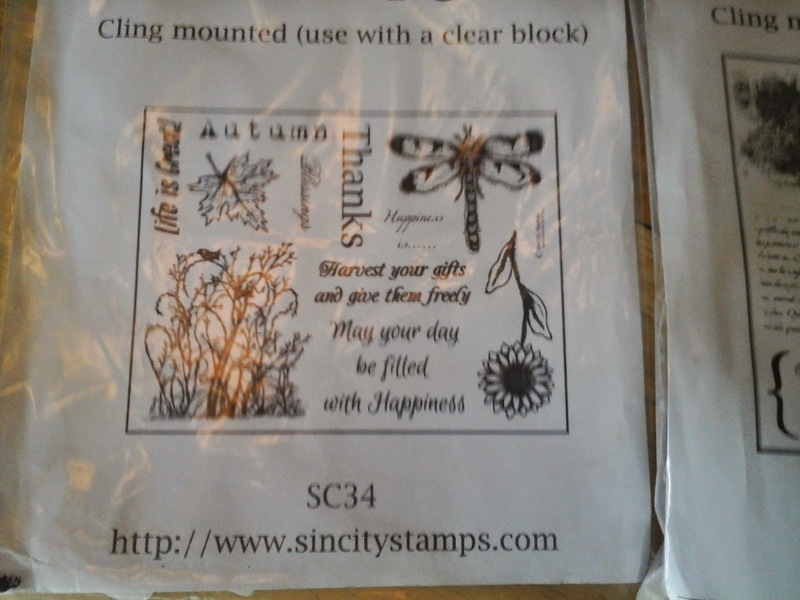 When stamping this background I used my stamp unmounted. I stamped many times to give the illusion of distance. 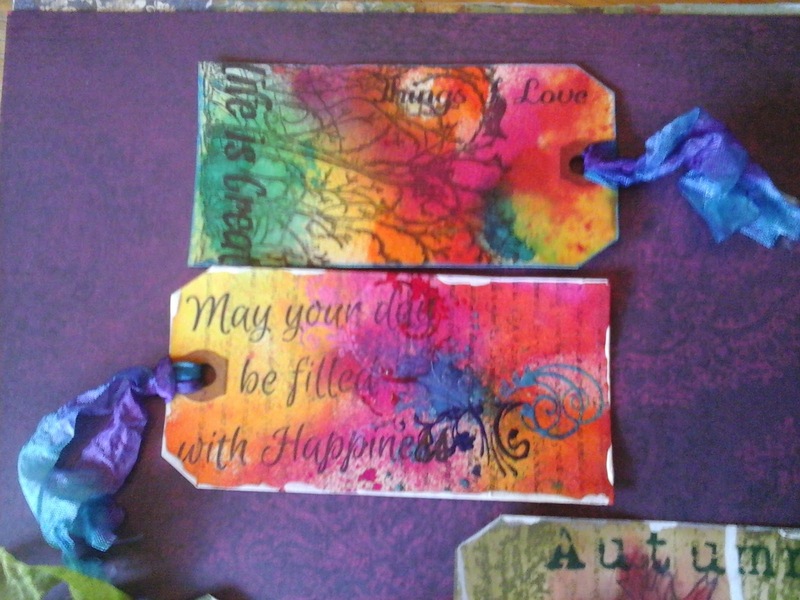 I used two sentiments one from the Fall Collection and one from the Journal collection. 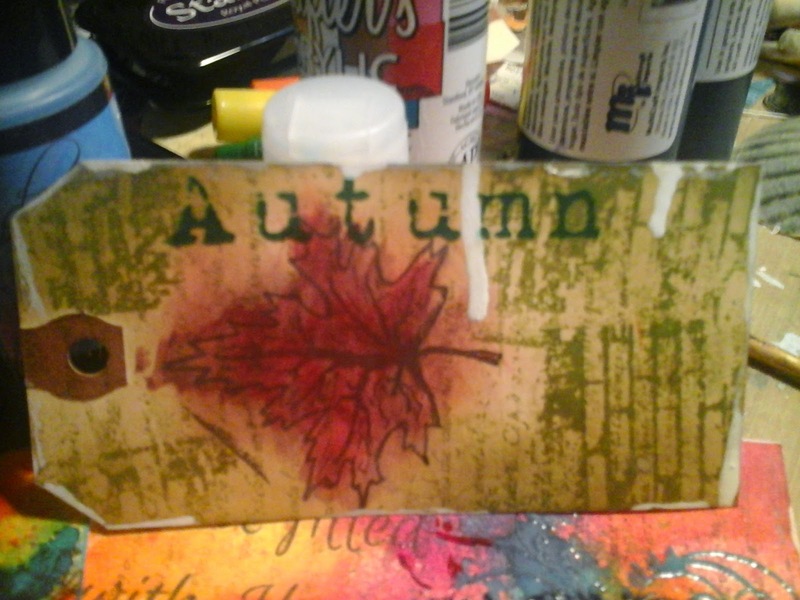 Below I made an Autumn tag mixing both collections of stamps. 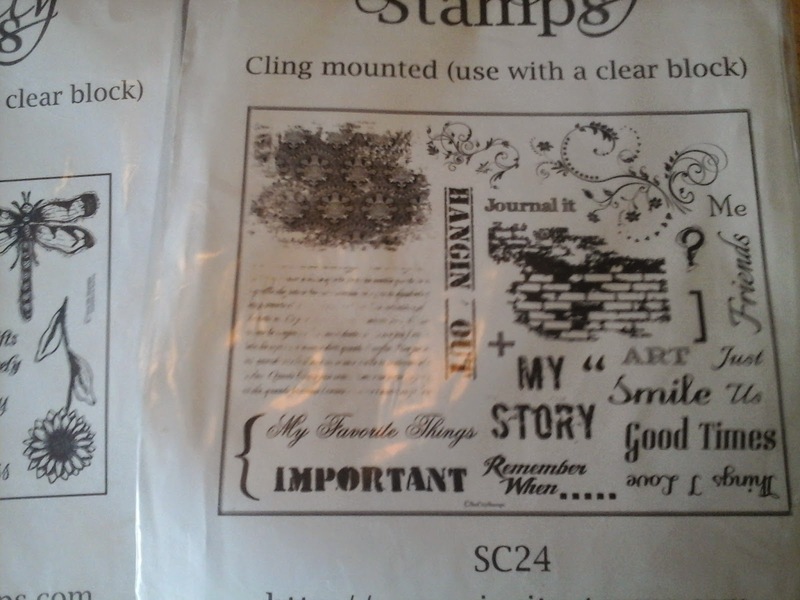 Terri Sprouls fabulous background stamp of bricks in disress ink peeled paint. 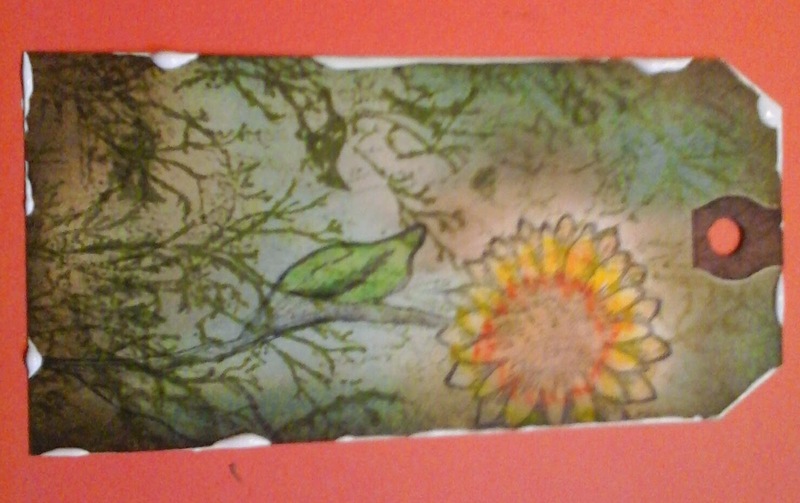 Pam Bray's leaf and autumn were used also using distress ink. The leaf was colored with red and black Gelatos. 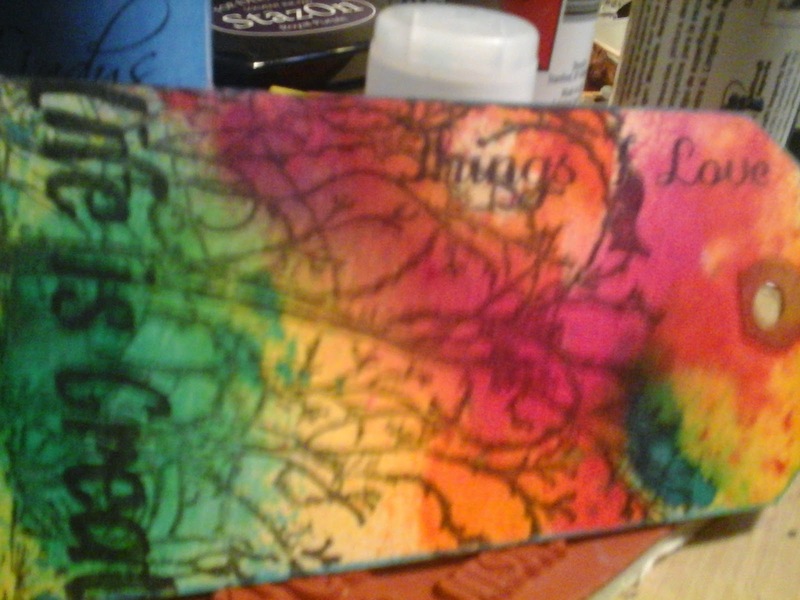 Using my disttress inks I shaded the whole tag. I used white acrylic paint on the edges. Here is the progression of layering a background using one stamp. Rocking portions of the stamp unmounted. Some layers darker than others using one distress ink. Next I colored the flower and leaf with gelatos. I edged the tag again with white acrylic paint. I added some hand dyed ribbon to match. I hope you get a chance to pick up these great stamp sets, I can't wait to play with them again! Great set of tags. 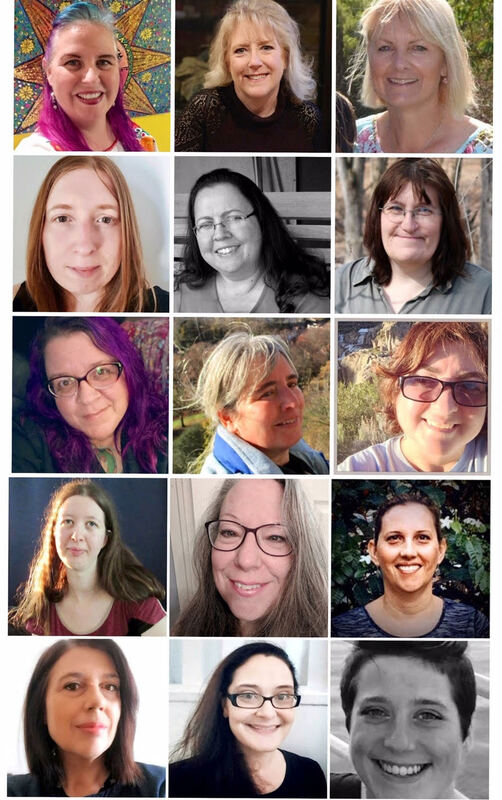 Each one is beautiful in its own right! I love these tags. the colours are amazing and the stamps are wonderful!! Very pretty!!! 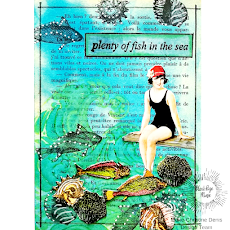 Love how you layered all the stamps!